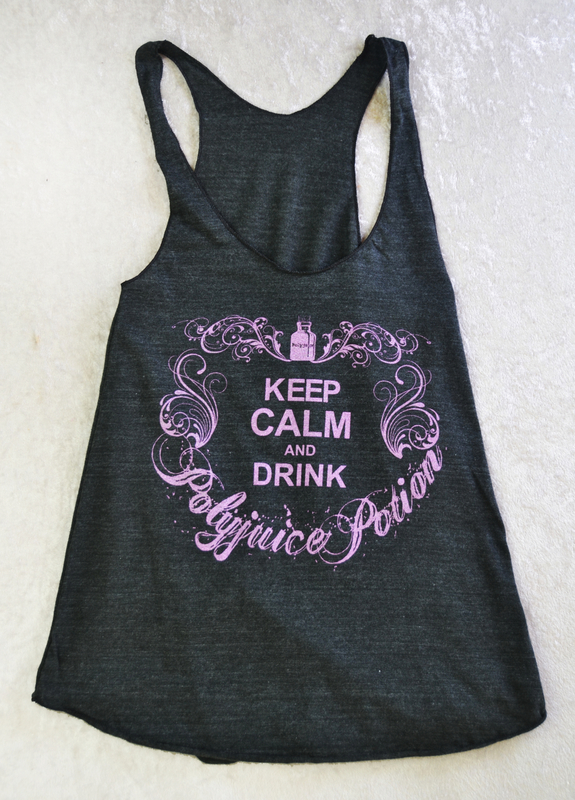 OUR ORIGINAL DESGIN Polyjuice Racerback Tank Top in Heather Black with Sparkly Mauve (Heliope!) Ink. Supersoft fabric is Tri-Blend 50Poly/25%Cot/25%Rayon. Keep Calm & Drink Polyjuice Potion like Hermione brewed!